The American West has always been a captivating, mystical space, where possibility beckons for filmmakers and photographers. PRETTYBIRD director Jess Kohl, when hired to direct a campaign highlighting how Facebook can bring together communities, trained her lens on the unique group activities that connect people across the wide open spaces of the Southwest. 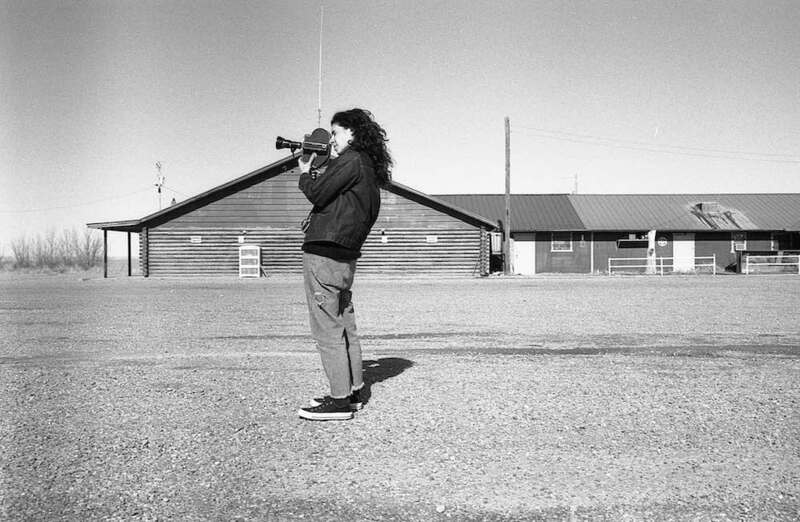 Taking inspiration from work of photographic pioneers Lee Friedlander, Robert Frank, and William Eggleston, Jess immersed herself in some distinctly different worlds: from a group of elderly square dancers in Las Cruces, NM, to an all female queer football team playing in blistering cold conditions in Tulsa. In these mini-documentaries, Jess brings the everyday lives of her subjects into focus; her skill at creating evocative, intimate portraits has been honed through her wonderfully varied body of past work as a photographer and documentarian. We spoke with Jess about her excitement about finding pockets of community in an isolated landscape, shining a spotlight on groups that challenge one dimensional stereotypes, and trying to get the perfect shot in below freezing temperatures. 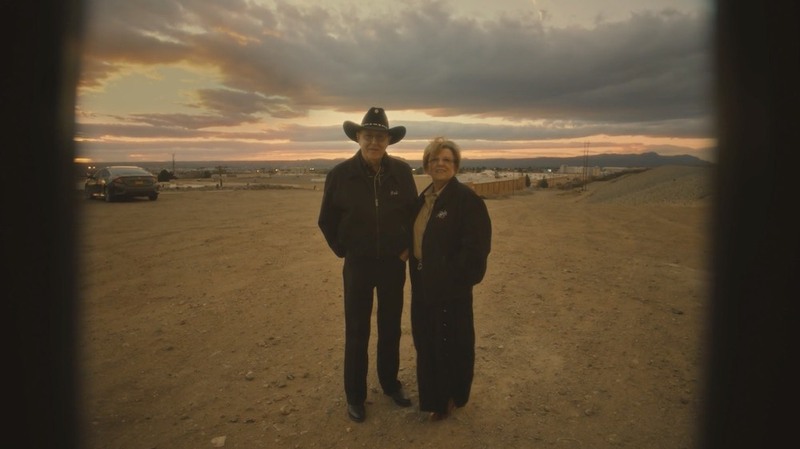 Your “Story Of Us” work for Facebook draws upon your distinctive skill as a documentary filmmaker to craft mini-portraits of communities across the American Southwest. What drew you to this project initially, when you first received the brief? I was really excited at the prospect of capturing some of the lives of communities across lesser explored pockets of America, places that have been forgotten. It seems like the deeper into middle America you go, the more isolated the landscape feels. I was excited to find pockets of community within this. It’s such an iconic part of the world, and it felt important to celebrate this, but also to challenge preconceptions of what’s expected of the region. I also loved the references that Mutt approached me with – great American photographers like Lee Friedlander and Robert Frank. One of my favorite references for the project was the lesser-known moving image work of William Eggleston. Abstract, beautiful and observational – placing the viewer into a community without much explanation. The brief for the project allowed me to bring lots of creative ideas to the table. What was the process of selecting the groups in question like? Were there any particular criteria you were drawn to when making your choices? I wanted to be as involved in selecting the groups as possible. When I came on with the project, there were already certain groups on board, but I embarked on my own research to see what I could find. It was important for me that the groups either felt really typical of the region – for example, the square dancing group, and ballet folklorico – or were unique and unexpected, like Tulsa Threat and OKC Strikers. For me, it was important that the groups had multiple layers to their stories, even if we only had a short time to tell them. So Tulsa Threat are cool because they’re challenging stereotypes of football. 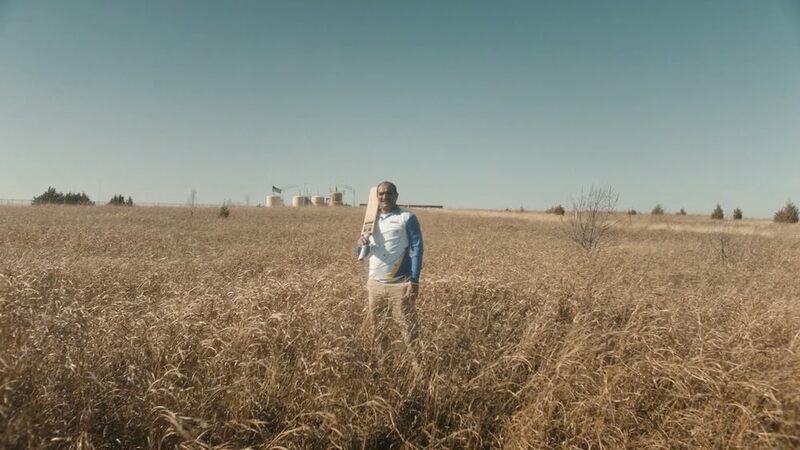 OKC are playing cricket in an area where no one else is. 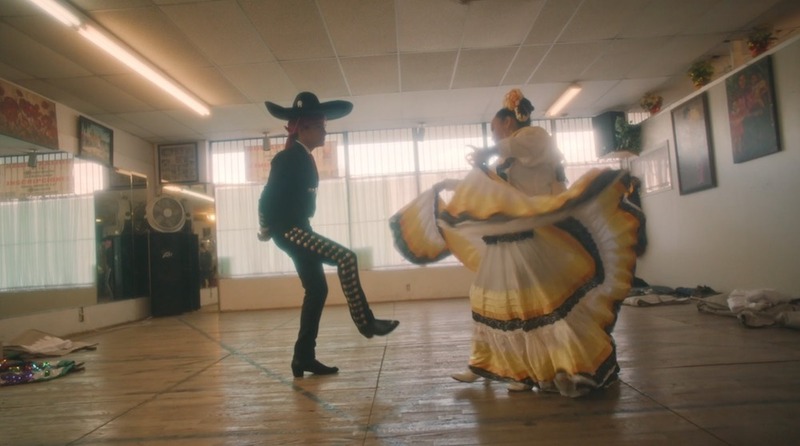 Folklorico are allowing young people to be proud of their heritage. How large of a crew did you work with to shoot each segment? We wanted to keep the crew as light as possible, in order to stay reactive and keep a sense of intimacy with the groups. We were around 10 people all traveling on the road together. How long did it take you to shoot all of the footage you needed in each location? We had such a limited time in each location! It was really a challenge to get under the skin of the groups in such a short space of time. It felt ambitious but a fun way to work. The tightest was Folklorico and Square Dancing, which we shot in 1 day! It was the first day of the shoot. From a film-craft perspective, what strategies did you use to translate an immersive sense of these worlds on film? One thing that was important for all of us was for the work to feel really authentic to the group. I wanted to leave my ego at the door, to let the visual language stem from the groups. Saying that, it was important for the films to feel visually arresting and beautiful. So to find this balance, we sometimes had to take groups out of their natural habitat, or add subtle elements to bring spaces to life. 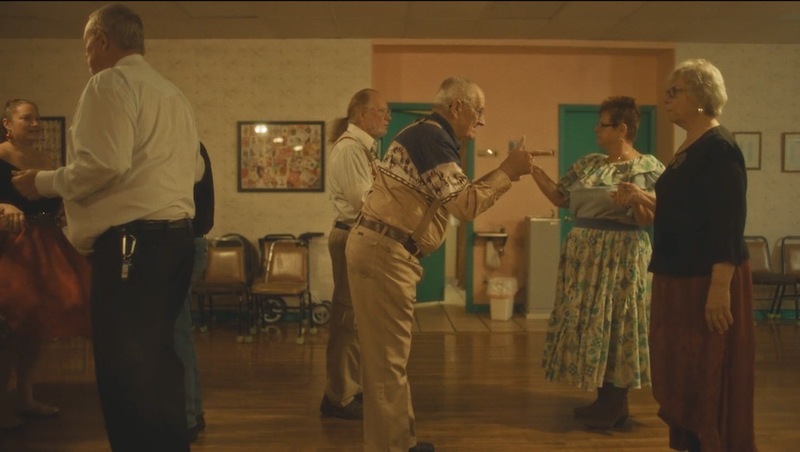 For example, the gold curtain in the square dancing film hung behind Ted, the caller – little additions like that that bring the film to life. We combined observational filmmaking with more intentional moments of the groups interacting with the camera. I also used quite heavy filtration and 16mm for certain groups, to give each film its own distinct style. We wanted each group to feel unique. How did you gain trust and establish a comfortable rapport with your subjects? It was amazing how open the groups were to being filmed. We had quite a lot of conversations prior to shooting – our time together was so limited, so this was really the only chance to get to know one another. I think the groups were genuinely pleased that someone was taking interest in them – it’s also a great platform for their voices to be heard and group to be promoted! What were some of your favorite moments from these shoots – either behind the scenes anecdotes or ones that made it into the final edit? I loved being on the road in such a unique and iconic part of the country, working with a great team and seeing the landscape change as we went. I’m a big fan of overland travel, so it was amazing to take to the time and not just jump on a plane to the next city. One of the funniest moments was on our last shoot day, with the Tulsa Jazz Choir – I had this big idea to shoot them performing in a circle at the ‘Centre of the Universe’ in Tulsa. We were going to shoot this with a drone and steadicam. It was below freezing, and the members of the choir just kind of gave up halfway through. I was running around trying to direct them and they were just walking off of the set. You can’t always control situations when you’re working with real life people! You’ve been carving out a pretty singular body of documentary-style work, often focusing on little-seen communities or underrepresented populations: meditations on the lives of trans women in India and Naples, rebel Filipino punks, and more. How do these films fit into the scope of your vision as a filmmaker? I’m interested in telling real human stories, getting under the skin of unique communities who might not have had their voices heard otherwise. I hope that this has a knock-on effect, shining a light on unexplored issues and hopefully creating more understanding and compassion. As a queer filmmaker, I’m often drawn to subjects who are on the fringes of this world. I feel that highlighting pockets of alternative or LGBT communities who might be struggling to be accepted is a responsibility that I have as a queer person in the West. Are there recurring threads that run throughout the projects you choose to take on? I think the recurring threads throughout my projects are an honest and non-judgmental approach. Visually beautiful and stylized, but not to the point that it distracts from the story or subject. Underrepresented communities and those who have been pushed to or have chosen to live on the margins will always be at the heart of my interests as a filmmaker. What kinds of commercial storytelling opportunities would you most want to explore in the future? I’m really interested in the human experience and telling real life stories, but I also don’t want to confine myself as a filmmaker. I’d like to experiment more with filmmaking as an art-form and continue to grow with each project I take on. I’d like to explore more conceptual and abstract ideas in my work. But I’ll always be interested in life on the margins – truthful and honest storytelling. Finally, what are your thoughts on the Free The Bid mission to amplify the voices of diverse women filmmakers across the globe? Free The Bid is a really important and amazing platform to be a part of. I feel lucky to be coming up in the industry at a time were women and traditionally underrepresented communities voices are being heard and celebrated. We still have a way to go, but platforms like Free The Bid are paving the way for a more inclusive environment.